Antibiotics use and resistance. 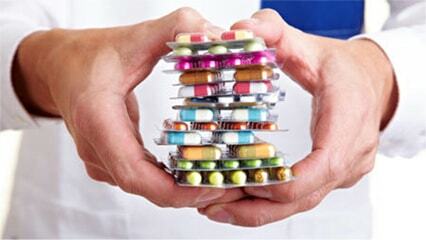 Information on Antibiotics. Welcome to the antibiotics-info.org This site aims to be a knowledge centre for Information on Antibiotics. NIPA is a group of healthcare organizations that are dedicated to promoting the appropriate use of antibiotics. Urgent action is needed to ensure that antibiotic effectiveness is maintained for the greatest benefit of humanity by slowing the development and spread of antibiotic resistance. While the problem of antibiotic resistance has been recognized and prioritized in high-income countries, it has gone largely unnoticed in the developing world. The problem is particularly severe in low- and middle-income countries, where the burden of infectious diseases is greatest and patients with resistant infections are less likely to have access to, or be able to afford, expensive alternatives to the most widely available drugs. Antibiotic resistance threatens to roll back gains made in recent decades in the control of common infectious diseases, especially infections of infancy and childhood, and of old age. Rapidly developing economies fuel the increase in antibiotic use. In India, China, and Brazil, for example, incomes are rising and access to antibiotics is growing. Where water and sanitation systems continue to perform poorly, despite overall economic gains, exposure to disease remains unchanged, but the demand for antibiotics rises. And the more antibiotics are used, the quicker resistant strains emerge and spread. Greater demand for meat and seafood in these countries—a by-product of development—is driving use of antibiotics for growth promotion in farm animals and in aquaculture. The time is right to create greater awareness among national policy makers of the need to institute policies specifically to control antibiotic resistance throughout the world. We believe that often there are alternative medications that can be effective for many ailments that normally get prescribed antibiotics. Herbal remedies often contain ingredients that are very similar to anti-biotics. We think sufferers should try looking for health products that maybe as efficacious without the side effects. The overuse of antibiotics will result in them becoming less effective as a treatment. We hope this site contains information for consumers and healthcare professionals on a variety of topics surrounding the issue of antibiotic resistance in the USA, Canada and rest of the world and is not intended to be used for decisions on diagnosis or treatment. Always seek the advice of your physician or other qualified healthcare professional with any questions or concerns that you may have regarding the diagnosis and treatment of a medical condition.